Katy is using Smore newsletters to spread the word online. Anne Frank was born June 12, 1929, Frankfurt, Germany, and died, at the age of 15, in Feburary or March, 1945 at the Bergen-Belsen concentration camp. Anne had an older sister named Margot, a mom, and a dad. During the Holocaust she lived in the annex with two other families. Mr. Dussel and the Van Daans. She was a young girl stuck in the middle of the Holocaust. She couldn't go outside, she couldn't talk during the day, and she even couldn't look out the windows. She couldn't do couldn't do those things because she was Jewish, but Anne had faith that the war would end soon so she could pursue her dream. Anne wanted to be a writer. So, since Anne had her diary, she decided to make multiple copies of her diary. She wanted people to read her story. Anne's father, Mr. Frank, was the one to publish her diary. This is because he was the only one out of Anne's whole family to survive the Holocaust. Even though Anne didn't get to live in the glory her dream still came true. A symbol of Anne Frank, in The Diary of Anne Frank, is a diary. Anne's diary means everything to her. She writes everything in it. Anne treats her diary as if it was her best friend. 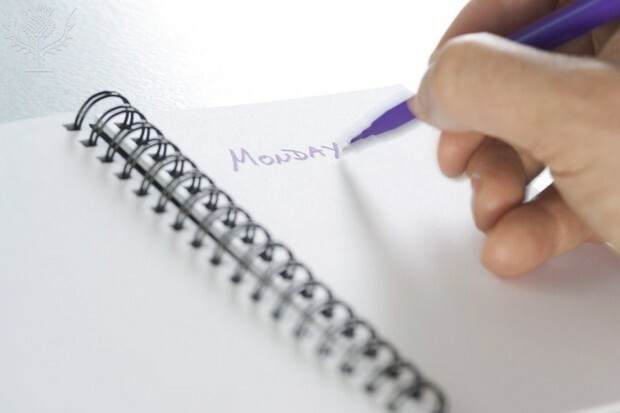 One example of her writing is,” Today I'm going to tell you our general news.” (381). Anne had this written on her diary. This represents how close Anne must have been to her diary. The theme, we must have courage no matter what the obstacle, is shown throughout The Diary of Anne Frank. There were times in the night where it was frightening. 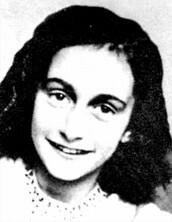 Anne Frank even wrote, “ It’s the silence at night that frightens me the most” (381). At night Anne felt like at any moment that the Nazi’s would come running up the stairs to take her and her family away. Another example of courage shown in the play is they hear the noises outside. Anne also wrote this, “ Every time I hear a creak in the or a step on the street outside, I'm sure they are coming for us” (381). The courage it takes them to stay in the house knowing that at any moment they could come barging in the annex takes a lot. Also, courage is shown when they hear the Nazi’s drive by the annex. This is what is described in the play when they drive by, “ They are tense, motionless in their terror. The car starts to drive away. A wave of relief sweeps over them” (383). I feel like most people would have been panicking, but the Franks, the Van Daans, and Mr. Dussel all stayed calm. These people all showed courage even though some of the obstacles they faced were difficult. Another theme shown throughout The Diary of Anne Frank is faith is what keeps people going. Times were rough being stuck in the annex, but Anne always showed some type of hope. Anne had been reading a book and said,” I shall definitely let my kids read her” (394). This shows hope because she believes that in the future she will have kids and there will be no war. Another example of faith was when she arguing with Mr. Van Daan and she said,” I'm going to be remarkable! I'm going to Paris… To study music and art” (387). She has faith that she will one day go to Paris and study music and art. Plus Anne argued to say,” I'm going to be a dancer or singer… or something wonderful” (388). Her faith has lead to believing that one day, hopefully, she will be something wonderful. Anne’s faith shown throughout the story is what lead her to writing to so she could do something wonderful. Her faith is what kept her going. Diary. Photography. Encyclopædia Britannica ImageQuest. Web. 3 Dec 2015.